The Labour party made headlines on Monday via, theguardian. The party want to build many council properties, the biggest seen since the 70s. Are These The Most Expensive Student Digs In The World? The telelgraph.co.uk have released a list of the most expensive student digs in the World, they are spectacular! propertywire.co.uk have reported on Monday that Northern Ireland is set to see some of the strongest house price growths in the UK. From the trendy huhmagazine.co.uk. Banksy has claimed he will move his Dismaland piece by piece to Calais to provide shelter for refugees. The telegraph.co.uk have released an article explaining how we can build 50,000 homes a year in London. The bbc.co.uk report the ever widening North and South divide is gaining even more momentum. News outlet telegraph.co.uk has revealed that the price of a typical home in London is three and a half times more expensive than in parts of northern England. The great Inspiration Wednesday series from rightmove.co.uk has been released and this week it’s in the seaside town of Blackpool in the North West. 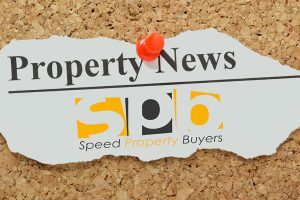 The website propertywire.com have reported good news for Irish landlords, as the national rent sees a 7.1% rise quarter on quarter. The BBC have reported that a bedroom in a cupboard under the stairs is charging £500 a month in rental fees. The theguardian.com explain how to get into property development in modern day UK. The website telegraph.co.uk have reported than London renters are struggling to keep up with payments as it’s a lot more than the average worker can afford. Stunning pictures published by the washingtonpost.com. The amazing Paris skyline is showcased in this photographic series. bloomberg.com have shown off the smartest building in the World, do you agree?